Safest in the industry: sint occaecati cupiditate non provident, similique sunt in culpa qui officia deserunt mollitia animi, id est laborum et dolorum fuga. Et harum quidem rerum facilis est et expedita distinctio..
Safest in the industry: With both national and international certifications, we are known for excellence in safety towards our patients. Our clinic, Center of Specialized Aesthetic Surgery (CECIP, acronym in Spanish), is internationally recognized for its high quality standards. We have the endorsement of: SODOCIPRE, CMD, FILACP, IPRAS. People Love us: Our satisfied and healthy patients are the highest reference of our commitment and professionalism. Dubbed as “the dolls of Almonte”, our dolls are already a community of beautiful women who, with some surgical affections, have reaffirmed their beauty both internally and externally, listen to their testimonies first hand in Real Self. Round 2 with Dra Fatima Almonte!!!! 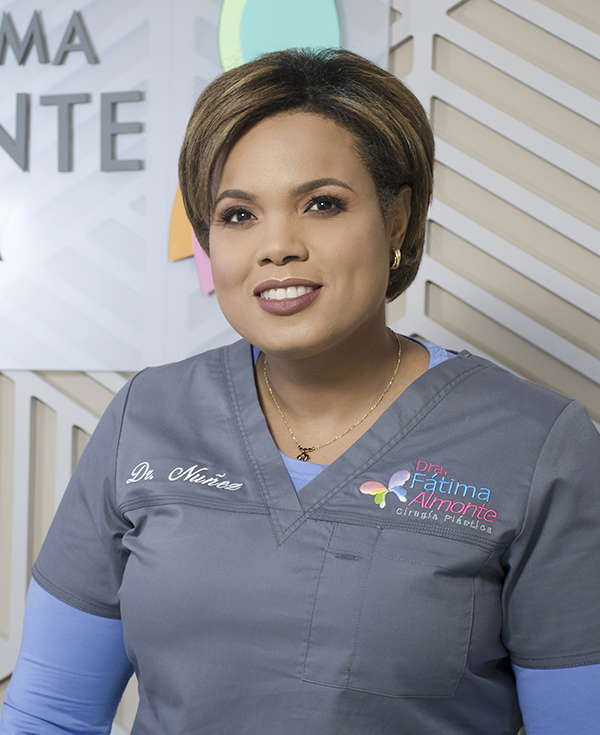 Dra Almonte has excellent bedside manner and a great staff. I love, love,love my Doctor! She is the best doctor ever! She is very nice, kind, helpful, attentive and sweet! If you choose her and her Team believe me you will be at the best hands! Her hands is a most magical hands ever!.